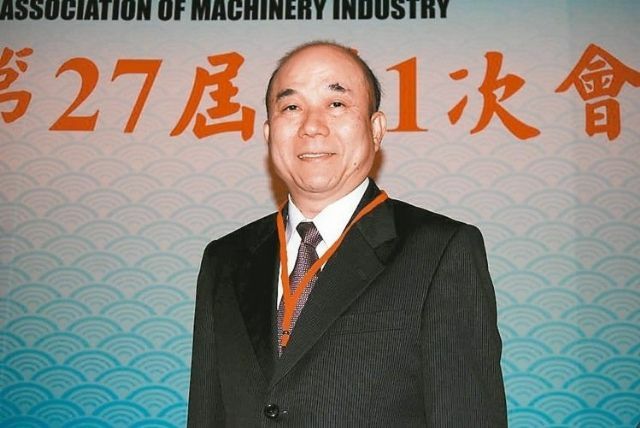 Alex Ko, chairman of TAMI, says the association aims to assist 30 Taiwanese machinery-related companies to go public in the next five years (photo courtesy of UDN.com). To further boost global competitiveness of Taiwan's machinery industry, Taiwan Association of Machinery Industry (TAMI) is going to join hands with Taiwan Venture Capital Association (TVCA) to assist 30 local machinery makers to go public in the next five years, with an aim of brining the number of listed machinery companies on the Taiwan Stock Exchange to 50, according to Alex Ko, TAMI chairman. Ko stresses that the cooperation between TAMI and TVCA will set a meaningful milestone in the industry's history, given that presently local machinery makers are mostly small and medium in size, and should try to upgrade and scale up their businesses by accessing the capital market, so as to better compete globally. The chairman indicates Taiwan's machinery industry is composed of about 13,000 companies, with total employees exceeding 300,000 people. However, only a few of insiders are big enough to contend well with large-sized international rivals from advanced countries, including Germany, Japan, Italy and Switzerland. About 20 Taiwanese machinery makers are listed for the time being, including Tongtai Machine & Tool Co., Ltd., Awea Mechantronic Co. Ltd., Goodway Machine Corp. and Hiwin Technologies Corp. Currently, a couple of machinery-related makers have been planning to get listed on Taiwan's stock market, including Fair Friend Ent. Group, Taiwan's largest machine tool builder by size now; Fukuta Elec. & Mach. Co., Ltd., a leading motor manufacture who has been contracted by Tesla Motors; and Hiwin Mikrosystem Corp., a precision machinery component maker, an affiliate of Hiwin Technologies, a globally known supplier of linear motion components and robotic arms. With support from TAMI and TVCA, Ko says, these companies can accelerate the pace of going public. Also notable is that, Ko mentions, many Taiwanese machine tool builders and related companies, starting with Fair Friend, Tongtai and Hiwin Technologies, have actively worked on acquisitions and mergers of their Japanese and European counterparts for the past few years. Among them, Fair Friend confirmed earlier that it is scheduled to acquire a Japanese well-known machine tool maker by the end of August, to further boost its presence in the global supply chain of aeronautic equipment. Fair Friend actually sets a striking example for Taiwanese machinery makers looking to establish a high global profile, for the company has effectively built 54 overseas footholds in China, Germany, Italy, Switzerland, the U.S., Japan, S. Korea, Hungary and Russia, mostly thanks to its successful M&A strategies. In the face of the growing trends among Taiwanese machinery makers for overseas M&A, Ko believes TAMI's cooperation with TVCA will work to better help them, not to mention those who manage to upgrade their businesses but are frustrated by limited resources.